On Monday, the Republican-led Senate voted to include condemning President Donald Trump‘s Syria policy in a bill scheduled to pass the chamber in the coming days. 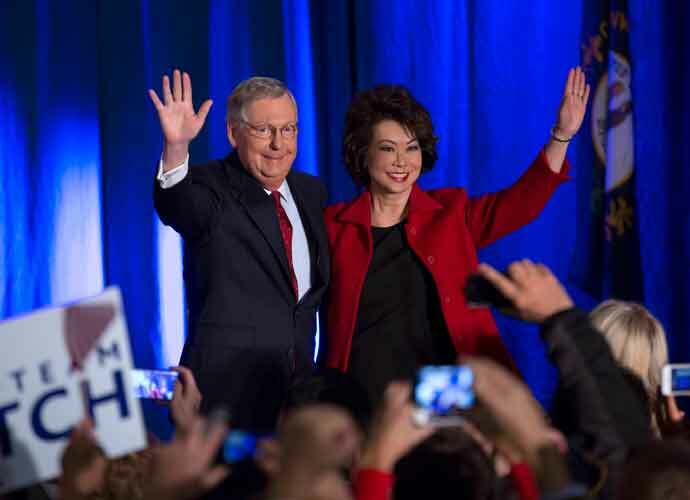 Lawmakers voted 70-26 on the amendment proposed by Sen. Mitch McConnell (R-Ky.), the Senate majority leader, which warns the White House against a “precipitous” withdrawal of troops from Syria and Afghanistan. This provision was essentially certain to be added to the bill after it beat a 60-vote filibuster last week. “When America’s national security and vital interests are at stake, some circumstances require not only the use of important diplomatic tools but also direct involvement from the United States. That’s why I introduced an amendment … so the Senate can speak clearly and directly about the importance of our nation’s ongoing missions in Afghanistan and Syria,” stated McConnell prior to Monday’s vote. Senior intelligence officials have warned Trump against emboldening the Islamic State of Iraq and Syria by hastily pulling out troops in the area, but the president has repeatedly blasted them for their recommendations. The U.S. initially invaded Afghanistan in late 2001 under then-President George W. Bush. Trump has frequently criticized the war there and said his predecessors should have done a better job of ending it. Last month, former Marine Corps General James Mattis resigned as defense secretary after Trump decided to withdraw troops from Syria. The move also drew swift rebukes from GOP lawmakers like Sen. Lindsey Graham (R-S.C.). Last week, The Washington Post reported that the U.S. and the Taliban are nearing an agreement that could end with a withdrawal of American troops from Afghanistan.